Timberwolves coach Rick Adelman has 16 playoff appearances in 22 years and a pair of NBA Finals appearances on his professional coaching resume. 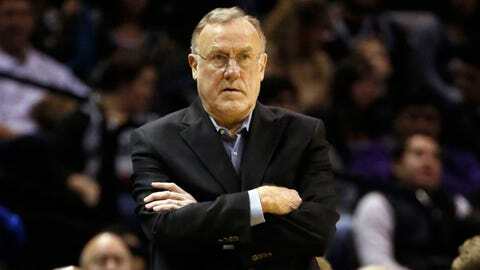 Rick Adelman has, you’re bound to develop a vast web of protégés. trail of aspirants seeking to walk a similar path. staff in Portland in 1983.
several coaches and team executives. games into the season and coached them until stepping down in December 1999.
than we did, we would beat them,” Ainge told the Oregonian in 2009.
and it took Porter only a year to glean his first head coaching position. Porter. “The guys who are players who make it as coaches are hard workers. position with Sacramento before this season. 15th season there and has taken the Aztecs to six NCAA Tournaments. coach, Carril joined the Kings as an assistant before the 1996-’97 season. assistant/consultant before retiring in 2011.
the latter was hired to oversee the Houston Rockets in 2007.
in 2004 and has followed him to Houston and Minnesota. in Houston and was hired as a player development coach during the summer. as an assistant in 2005. He passed away in 2010. Portland and later became a Blazers assistant.